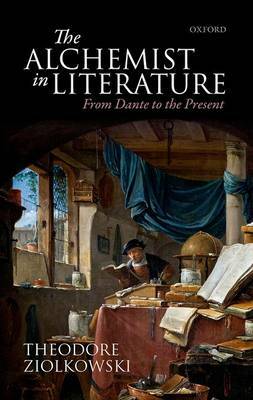 Unlike most other studies of alchemy and literature, which focus on alchemical imagery in poetry of specific periods or writers, this book traces the figure of the alchemist in Western literature from its first appearance in the Eighth Circle of Dante's Inferno down to the present. From the beginning alchemy has had two aspects: exoteric or operative (the transmutation of baser metals into gold) and esoteric or speculative (the spiritual transformation of the alchemist himself). From Dante to Ben Jonson, during the centuries when the belief in exoteric alchemy was still strong and exploited by many charlatans to deceive the gullible, writers in major works of many literatures treated alchemists with ridicule in an effort to expose their tricks. From the Renaissance to the Enlightenment, as that belief weakened, the figure of the alchemist disappeared, even though Protestant poets in England and Germany were still fond of alchemical images. But when eighteenth-century science almost wholly undermined alchemy, the figure of the alchemist began to emerge again in literature-now as a humanitarian hero or as a spirit striving for sublimation. Following these esoteric romanticizations, as scholarly interest in alchemy intensified, writers were attracted to the figure of the alchemist and his quest for power. The fin-de-siecle saw a further transformation as poets saw in the alchemist a symbol for the poet per se and others, influenced by the prevailing spiritism, as a manifestation of the religious spirit. During the interwar years, as writers sought surrogates for the widespread loss of religious faith, esoteric alchemy underwent a pronounced revival, and many writers turned to the figure of the alchemist as a spiritual model or, in the case of Paracelsus in Germany, as a national figurehead. This tendency, theorized by C. G. Jung in several major studies, inspired after World War II a vast popularization of the figure in novels-historical, set in the present, or juxtaposing past and present- in England, France, Germany, Italy, Brazil, and the United States. The inevitable result of this popularization was the trivialization of the figure in advertisements for healing and cooking or in articles about scientists and economists. In sum: the figure of the alchemist in literature provides a seismograph for major shifts in intellectual and cultural history.